Medical malpractice is an epidemic. A 2013 study published in the Journal of Patient Safety found that medical errors cause an estimated 440,000 deaths each year. This makes preventable harm in the hospital the third leading cause of death in the U.S., right behind cancer and heart disease. Babies are particularly vulnerable to medical malpractice that occurs during pregnancy, delivery, or the neonatal period. Conditions that infants may develop as a result of malpractice include hypoxic-ischemic encephalopathy (HIE), cerebral palsy (CP), seizures, and developmental delays. Our team has written extensively about the epidemic of preventable injury in hospitals. In this article, we’ll cover medical malpractice, how malpractice affects babies, and what parents can do if they suspect that their child was a victim of malpractice around the time of birth. The term medical negligence refers to a failure to follow the standard of care in treating a patient. Standard of care is defined as what a reasonably competent healthcare professional or organization would do under similar circumstances. If a doctor, nurse, or medical organization deviates from standard of care, and this results in harm to a patient, it is considered medical malpractice. To learn more about the history of medical malpractice law, from ancient Mesopotamia to modern times, click here. 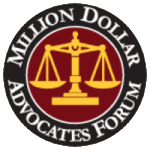 How do attorneys determine if malpractice occurred? Malpractice plaintiffs’ attorneys carefully analyze their clients’ medical records to determine if their injuries resulted from negligence (here, it is important to note that “injury” can refer to a variety of ailments, illnesses, and disabilities – not only injuries caused by blunt force). In addition to reviewing all aspects of the medical records, the attorneys take depositions of the physicians and other healthcare professionals suspected of causing the client’s injury. An experienced attorney should also know to seek the help of other experts. For example, they may ask a forensics specialist to examine the records for evidence that medical personnel tried to cover up instances of negligence. Similarly, by consulting a medical professional with a relevant background, an attorney may be able to form a more complete picture of what went wrong with their client’s care. To learn more about the in-house medical staff at Reiter & Walsh, P.C., and how they help with the legal process, click here. Failure to monitor for or respond to signs of fetal distress. These are indications that a baby is in danger due to oxygen deprivation and may require interventions such as an emergency C-section. The longer a baby is left in oxygen-depriving conditions in the womb, the more likely they are to have permanent, severe brain damage. Misuse of the risky labor-enhancing drugs Pitocin and Cytotec or delivery instruments like forceps and vacuum extractors. These methods can sometimes result in a successful vaginal delivery, but there are also many circumstances under which vaginal delivery is impossible or very dangerous. Mismanagement of a problem with the umbilical cord, placenta, or uterus, or of an abnormal fetal presentation. There are of course circumstances under which tragic events happen that are completely out of a medical professional’s control. However, many pregnancy and delivery complications can be prevented or safely managed if clinicians conduct indicated examinations and tests, remain vigilant for any potential problems that may arise, and are prepared to respond to an emergency if necessary. Lack of precautions taken in a high-risk pregnancy. Physicians should be familiar with factors that classify a pregnancy as high risk, such as gestational diabetes, preeclampsia, maternal infection, maternal obesity, and advanced maternal age. Women with high-risk pregnancies should be closely monitored, and in some cases may require additional safety measures such as a scheduled C-section. Failure to properly treat a baby who has already sustained a birth injury. For example, infants that have been deprived of oxygen during the birthing process should be given hypothermia therapy within six hours of the original insult. This can minimize permanent brain damage. For more extensive information on types and causes of birth injuries, click here. Some babies are diagnosed with birth injuries, such as hypoxic-ischemic encephalopathy (HIE), shortly after birth. Other times, a baby’s birth injury may not be noticed until the child is 5 or 6 years old and certain developmental milestones are missed. If your child is missing developmental milestones or you have been told they have a speech delay or abnormal muscle tone, it is crucial that you make sure they are examined by a neurologist and have a brain scan such as an MRI to determine whether they have brain damage. What should I do if I suspect medical malpractice may have caused my child’s injury? If you think negligence played a role in your child’s injury, you should consider contacting a medical malpractice attorney. You should do this as soon as possible, because there is a statute of limitations (which varies from state to state) that dictates how long you have to file a case. If your child has a condition that you suspect was caused by medical malpractice during or near the time of birth, you should contact a medical malpractice attorney who focuses only on birth injury cases, ideally one who has handled cases that involve the specific type of injury your child has. If you are seeking the help of a lawyer, it is very important to choose a highly experienced lawyer and firm. 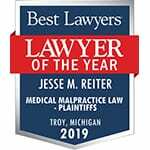 Birth Injury attorney Jesse Reiter, president of Reiter & Walsh ABC Law Centers, has been focusing solely on birth injury cases since 1987; most of his cases involve hypoxic-ischemic encephalopathy (HIE) and cerebral palsy. Partners Jesse Reiter and Rebecca Walsh are currently recognized as being two of the best medical malpractice attorneys in America by U.S. News and World Report, which also recognized ABC Law Centers as being one of the best medical malpractice law firms in the nation. The attorneys at ABC Law Centers have won many awards for their advocacy of children and are members of the Birth Trauma Litigation Group (BTLG) and the Michigan Association for Justice (MAJ).